Have you ever read two books by the same author and feel like, if you didn’t know better, you would think two different people wrote the books? I’m going through that right now with Davis Bunn. 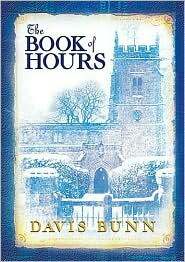 Over the summer I read The Book Of Hours and loved it. So, it seemed only natural to pick up Gold Of Kings. I am finding myself feeling a bit thrown off by it, however. The Book Of Hours was a novel of lyrical prose, emotional depth, slow building tension, and tons of word paintings. It’s not the type of book I usually read, but it completely won me. 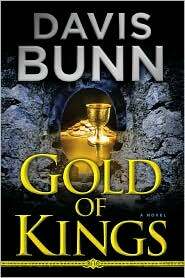 Gold Of Kings, on the other hand, is fully of short, clipped sentences, straight to the point descriptions, one twist after another, and paragraphs full of bullet casings. It’s not that it’s bad…just different…unexpected. The question is, how safe is it for an author to so completely change his style/genre? It’s purely subjective. In my eyes, sometimes it works and sometimes it doesn’t. I’ve read authors who can easy make the jump and some who seem to lose their touch for the written word when they try something new. As a reader or as a writer, what do you think? Some of my greatest disappointments as a reader have been when a favourite author has written a book with another author. I never find that I like the style even if I may have liked one or both authors previously. I don't mind an author changing their style but if it's radically different then I usually don't like it.But as a writer I like to experiment with different styles! Combining authors is a tough one. I can't even imagine how that is done. Can you?The only team writers I know who write better when they are together than apart is Mary Higgans Clark and her daughter Carol. I guess it's just all about striking a balance.